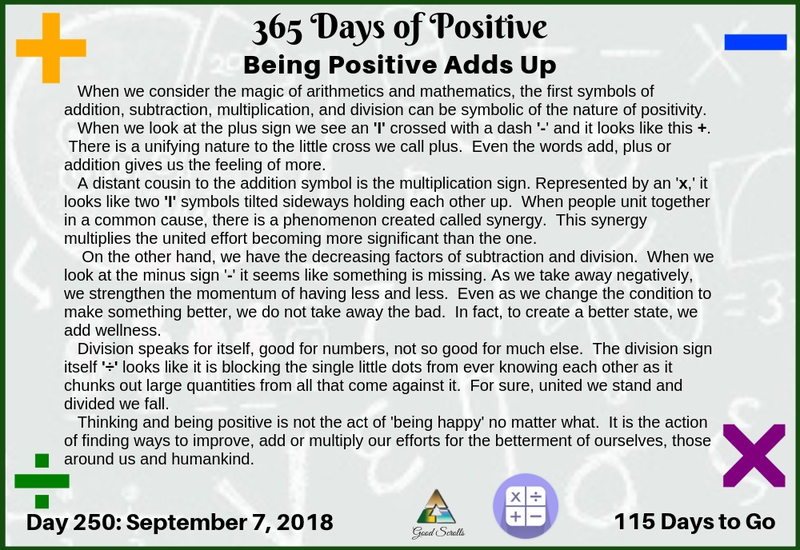 When we consider the magic of arithmetics and mathematics, the first symbols of addition, subtraction, multiplication, and division can be symbolic of the nature of positivity. When we look at the plus sign we see an ‘I’ crossed with a dash ‘-‘ and it looks like this +. There is a unifying nature to the little cross we call plus. Even the words add, plus or addition gives us the feeling of more. 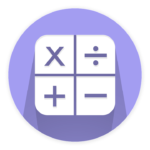 A distant cousin to the addition symbol is the multiplication sign. Represented by an ‘x,’ it looks like two ‘I’ symbols tilted sideways holding each other up. When people unit together in a common cause, there is a phenomenon created called synergy. This synergy multiplies the united effort becoming more significant than the one. 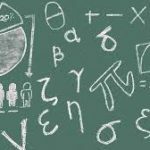 On the other hand, we have the decreasing factors of subtraction and division. When we look at the minus sign ‘-‘ it seems like something is missing. As we take away negatively, we strengthen the momentum of having less and less. Even as we change the condition to make something better, we do not take away the bad. In fact, to create a better state, we add wellness. Division speaks for itself, good for numbers, not so good for much else. The division sign itself ‘÷’ looks like it is blocking the single little dots from ever knowing each other as it chunks out large quantities from all that come against it. For sure, united we stand and divided we fall. Thinking and being positive is not the act of ‘being happy’ no matter what. It is the action of finding ways to improve, add or multiply our efforts for the betterment of ourselves, those around us and humankind.